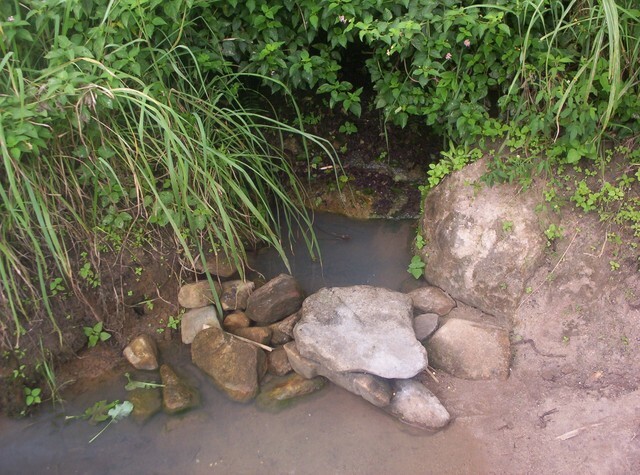 Water For People has not worked in the Litchenza community before. The community has requested the intervention and CCC has been identified as a compentent partner NGO to work in this area on this project. 6 boreholes with 6 Afridev handpumps will be provided for 1500 people (300 families) in the Litchenza communities of Samuti and Chamasowa. About 70% of the population in these communities has access to latrines. This proposal is for the construction of 40 SanPlat slabs and latrines. Hygiene education and community mobilization provided will impact 3500 people. The water systems will be Afridev handpumps installed on boreholes. The latrines will be SanPlat slabs over pits with superstructures. The community requested this intervention, has committed $137.40 in cash contributions and in-kind contributions of all unskilled labour, bricks, sand and quarry, and will be trained in how to sustain the project. The Water Point Committees will represent their communities during the implementation of the water system construction and ensure proper care after completion. They will also be responsible for training other members of their communities on proper management, sustainability and careful use of the water sources as well as ensuring that good hygiene and sanitation procedures are being adhered to. Necessary contacts have already been made with the local authorities and relevant government departments, including water, health and community service departments responsible for the Thyolo District. These government bodies will be responsible for the sustainability of the system soon after the project phases out and the sponsoring organization has finished their involvement in the phased-out project. Hygiene education will be conducted through the PHAST method (Participatory Hygiene and Sanitation Transformation) and will focus on the following practices: â€¢Hand-washing techniques â€¢Proper human waste disposal â€¢Bathing and cleaning yourself and children â€¢Latrine use â€¢Latrine cleaning â€¢Latrine upkeep Additionally, the project will focus on capacity building as the community will learn how to manage, maintain use the new water systems, improved sanitation facilities and hygienic practices, thus improving the health and productivity of its members. The community members will be trained to open and assess the Afridev handpumps every three months at which time worn parts should be replaced. The costs for spare parts will change over time as more expensive parts wear out so we need a flexible system. $137 cash contribution plus in-kind contribution of unskilled labor, bricks, sand and quarry. Necessary contacts have already been made through CCC with the local authorities and relevant government departments, including water, health and community service departments responsible for the Thyolo District. These government bodies will be responsible for the sustainability of the water system soon after the project is completed. 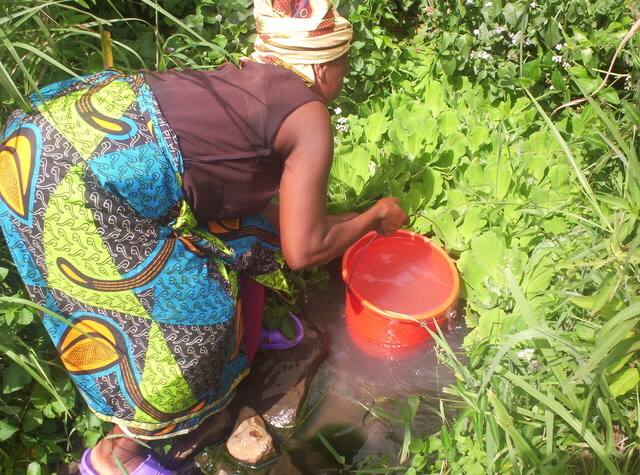 Additionally, government rural extension workers, health surveillance assistants, water monitoring assistants, and community development assistants will conduct the health and hygiene education to train the community members and help to monitor success and sustainability. The application is laid out very well (who did you get to post it? :) ) and i have no questions on that. What is the history of your org in Malawi? And the office structure there now? Water For People started work in Malawi in 1997 through personal contacts between some potential partners and the staff from the headquarters in the USA. The first Country Coordinator, Alfred Mhone, lived in Blantyre, so he established Water For PeopleÃ¢â‚¬â€MalawiÃ¢â‚¬â„¢s office there. He himself started work as a contractor to Water For People rather than as a staff member, and he set up the relationships with the partners in a similar way as individual contracts rather than as ongoing partnerships. As the years passed, Water For PeopleÃ¢â‚¬â€Malawi remained very small, consisting of the Country Coordinator and no other staff. The Country Coordinator fell ill in 2004 and was on sick leave for most of 2005, so Water For PeopleÃ¢â‚¬â€MalawiÃ¢â‚¬â„¢s work came to a virtual standstill. He left Water For PeopleÃ¢â‚¬â€Malawi in late 2005, and sadly died in early 2006. His successor, Kate Harawa, started work in December 2005, revived contacts with the existing partners, recruited support staff and initiated this strategic planning process. During the period 1997-2005, Water For PeopleÃ¢â‚¬â€Malawi supported an assortment of projects proposed and implemented mainly by its existing partners. Most of the projects were successful and have served tens of thousands of Malawians with water, sanitation and hygiene education , but Water For PeopleÃ¢â‚¬â€Malawi lacked a strategically coherent work programme. Water For PeopleÃ¢â‚¬â€MalawiÃ¢â‚¬â„¢s relationships with its partners were essentially reactive, dependent on them to suggest and generate the Water For PeopleÃ¢â‚¬â€Malawi workload, rather than strategic. It did not use objective criteria to select partners, geographical areas, or types of projects. It concentrated on field projects and did little capacity building of the partner organisations, nor advocacy and policy work within the Malawian water sector. So it worked more as a low-profile project manager than a development agency. This method of working developed mainly because Water For PeopleÃ¢â‚¬â€Malawi started informally and continued as a one-person organisation. As to governance, Water For PeopleÃ¢â‚¬â€Malawi has an unusual history. First, the Government of MalawiÃ¢â‚¬â„¢s Ministry of Gender registered Water For People as an international NGO in November 2000. Then, after the NGO Act of 2001 was passed, this registration was confirmed by the NGO Board. But then, for reasons that are not now clear but may have been based on a misunderstanding of the NGO Act, Water For PeopleÃ¢â‚¬â€Malawi also registered separately with the Ministry of Justice as a Malawian Association with a Board of Trustees. So Water For People and Water For PeopleÃ¢â‚¬â€Malawi had a dual existence. Consequently the lines of governance responsibility were not clear, which made it difficult to establish strategic policy control over the work of the Country Coordinator. Now in 2006, Water For People headquarters in the USA and the Board of Trustees in Malawi are resolving the ambiguous governance status by dissolving the Malawian Association and transforming its Board of Trustees into an Advisory Committee for Water For PeopleÃ¢â‚¬â€Malawi as an international NGO. In terms of staffing we are still pretty light - a Country Coordinator who is excellent, and some financial staff. We are starting a new country strategy which will include more technical support to partners, and likely one staff member within District Government to build their capacity to manage, plan, supervise and coordinate more effectively. It's nice to see government engagement at different levels - it seems critical for sustainability. Does Water for People or CCC have a history of interacting successfully with the government entities either in this area or elsewhere in Malawi? Great question. We are fairly new at this but do have some success with Chikwawa District Assembly and will be focusing much of our efforts there in the future. Right now we are trying to build their capacity in management, supervision, sector coordination, monitoring/best practice promotion, enforcing sector policies, and finance. As you can imagine there are good days and bad days. We are planning on hiring a staff person to work with them (based at the District Assembly) for a few years to build these skills and capacity. My sense is this will really help our work elsewhere, and we are drawing from some very good experience with support to local government in Honduras and Bolivia. The cost per person for this project is very high, well above the BPR standard of $25 per person. Is there some way to lower this cost? The cost for hydrological study, drilling, etc is all merged into one --- how much for each component? This is the largest item in the budget. Is there no tradition in Malawi of dowsers or diviners to locate water? El Porvenir has completed over 200 wells in Nicaragua, 100% of them located by a local dowser, total 7 dry holes in 15 years. It costs about $5. Or is there some other part of your budget that could be reduced to get closer to the $25 per person figure? Good catch! I did not do all the calculations, as this was the last project of 2005 we looked at in April 2006! But its really our goal that we can get the average of our projects to around $25 as that is the marketing campaign for the Blue Planet Run 2007 - $25 = water for life for one person. Good catch! I did not do all the calculations, as this was the last project of 2005 we looked at in April 2006! But its really our goal that we can get the average of our projects to around $25 as that is the marketing campaign for the Blue Planet Run 2007 - $25 = water for life for one person. Thanks for the comment. As I have discussed with BPR, it is unreasonable to have a global figure of US$25 and not understand that there are some countries in teh world that are considerably more expensive than others. For instance, many organisations around the world who work in India really beef up their programs in India because the costs are so low. They can then say "it costs US$25/person for water" when in fact it is very misleading. I know, I have been part of some organisations that do this all the time (ironically Water For People is not one of them). Malaiw is an expensive country. It is by far the most expensive country that Water For People works in. The cost of drilling, the cost of petrol, the cost of cement, the cost of handpumps ( a rope pump in Nicaragua costs a fraction of an Afridev in Malawi). So, I am hoping that we can have a real discussion on costs per beneficiary with some understanding of regional variations. If we stick to this US$25 limit you can effectively write off southern Africa - where the need is far greater in fact that South and Central America. US$25/person across the board is PR, not development finance. i know nothing about the technology to be used in this project, I gather that perhaps an AfriDev pump is an african adaptation of the rope pump? or is it some other kind of pump? i do not know what a bore hole is nor have I ever hear of the use, or success or failure, of squat slabs. i don't even know if they have little houses around them. I support this project because of the detailed information about WFP's history and current operations in malawi , therefore I assume that this project grows out of experience; and also because I agree heartily that $25 per person is PR, not developmet finance. Detailed application. Nice to see the outcomes that will be measured.